Famed for its musicals, the West End in the centre of London boasts some of the best theatre in the world, from musicals to comedy to drama, featuring many famous actors. There are always new shows, as well as ongoing productions such as Phantom of the Opera, Les Misérables, Lion King, Wicked, and Chicago. 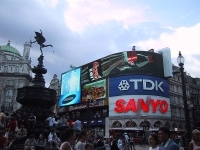 There is plenty on offer for the whole family and catching a show on the West End is an iconic London experience for travellers. For information on what's showing and ticket prices, check out the official website listed below.